Unless you uploaded the video yourself, please DO NOT re-post Direct Links (Megaupload/Rapidshare/Mediafire) from Aja-Aja or AM-addiction. Thank you. Please take a moment to read Haru2subS's Announcements! Park Hae Jin debuts as the lead actor of an upcoming KBS new weekend drama "Passionate Entrepeneur"
Main lead young actor, Park Hae Jin will debut in a KBS2 TV serial drama 'Passionate Entrepeneur'. Since the moment he debut, this is the first time he is playing the main lead of a drama. 'Passionate Entrepeneur' will air next month after the historical drama 'Empress Chunchu' ends its run. War of Money ...using a popular manhwa writer Park In Kwo(박인권) comic novel as the original works makes the drama even more worthwhile looking forward to. 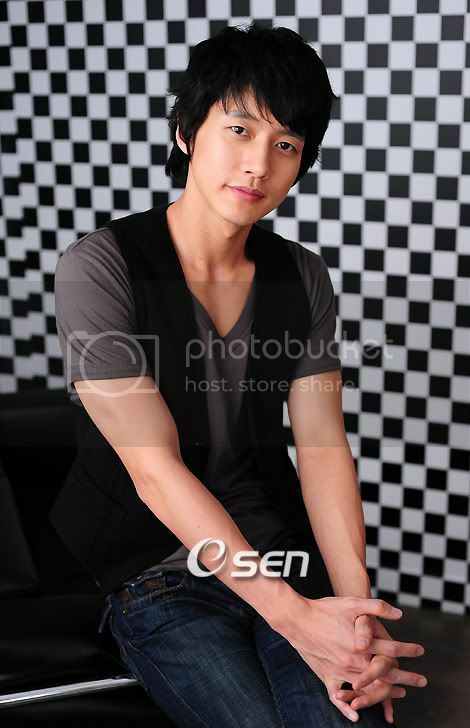 Park Hae Jin will act as the title lead, Ha Ryu;. He is a good-looking guy who is also ambitious and refuses to admit defeat easily. He strongly believes that the business market for car sales is a competitive war-like commercial world. He could convince customers to fall into his sales tactics within 10 minutes. His sense of humour and self-boosting ability is never 100% less. He lives with his incapable father and his mother who lives around as lowly as his father. Therefore, he is the one who just rules the home. Around 4 in the afternoon, the spokesman from the production company liaised with OSEN by phone and states that they are making the last confirmation that the main male lead of this drama is Park Hae Jin and they look forward to see how he will exhibit his vibes and acting skills in this new drama. The casting for the female lead and other roles is almost complete. For the female lead role, one of the newer actresses will be chosen. 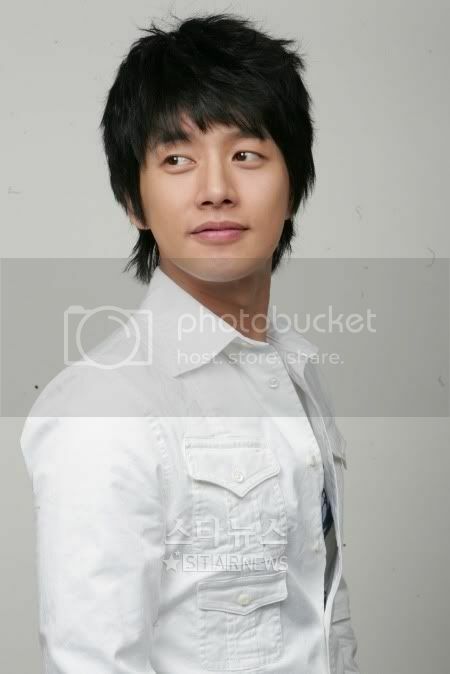 In 2006 KBS drama 'Infamous Chil Princess', Park Hae Jin debut in it, followed by being in another KBS daily drama 'As Much As Heaven And Earth' (2007) and an MBC serial drama 'East of Eden'. Though he was not the main lead of these dramas, his performance has left a deep impression on viewers. Therefore, through this drama being the main lead as a passionate entrepeneur, this will probably give him more opportunity to showcase his craft with his highly anticipating acting skills, . This drama will debut on Oct 10 2009 at 10.15pm on KBS2 TV . When taking out pictures & translations, attach proper credits. Just read the synopsis on KBSW, before finding out that this thread has been created, Thanks!! BTW, KBSW site has currently listed the number of episodes as 20+, I guess KBS is being conservative, pending public response. Feels so strange to see a modern drama, when this slot has always been for KBS' period drama, as far back as 2006. The thread is opened again. Great to know that. yesterday was the first filming day of the drama. Does anyone here the news from it? And anyone have the BTS picture/ poster.. of the drama? Pls share us at this thread. This drama seems like a great drama to watch so i cant stop myself from looking for the news about it. Gah, November pls come quickly, so i can watch the drama on KBS world =P~. And luthien, thank you so much for opening this thread. omg, i am so happy that park oppa is in this drama. now i wonder who the girl is! wonder who's going to be the female leads. but it's about time hae jin got the lead roles. He was soo good in EOE. i'll definitely look forward to this. It says something about shooting starting next week? huh? 채정안과 최철호가 KBS 새 주말극 '열혈장사꾼'에 주연급으로 캐스팅됐다. 8일 KBS 드라마국 관계자에 따르면 채정안과 최철호는 '열혈장사꾼'에서 이미 주연으로 내정된 박해진과 함께 연기호흡을 맞출 예정이다. '열혈장사꾼'은 유명 만화가 박인권의 장편 극화를 바탕으로 재구성한 현대물. 자동차 세일즈맨의 사랑과 일을 그린 드라마다. 채정안은 극중 자동차 판매왕을 연기하고, 자동차 세일즈 맨으로 분한 박해진과 연기를 펼친다. 더불어 MBC '내조의 여왕', KBS 2TV '파트너'에서 호연한 최철호도 드라마에 주연급으로 출연해 재미를 더할 것으로 기대를 모으고 있다. 최철호는 극중 박해진 회사 사장을 연기한다. 드라마 관계자는 "이번 주말께 첫 촬영에 돌입한다"면서 "현재 출연배우들의 막바지 캐스팅 작업 중이다"고 밝혔다. 총 20부작으로 기획된 '열혈장사꾼'은 '천추태후' 후속 작이며, 드라마 '바람의 나라', '쾌걸춘향'의 지병현 감독이 연출을 맡았으며 홍승현, 유병우 작가가 대본을 공동 집필한다. 모바일로 보는 스타뉴스 "372 누르고 NATE/magicⓝ/ez-i"
- Chae Jung Ahn plays Kim Jae Hee who is considered the "queen" of selling cars. - Director has directed in the Sung Il Kook's drama 'The Kingdom of the Winds'. - Female lead: Chae Jung Ahn; She will be acting as Kim Jae Hee character. not Dahye; Chae Jung Ahn was last seen onscreen in Cain and Abel and Coffee Prince. - Choi Chul Ho (last seen onscreen in Queen of Housewives) joins the cast of 'Hot Blood'; Director : Kang Il Soo (The Kingdom of the Winds); Script-reading session scheduled to be held next week. .... thanks to ck and JJJ from PHJ TFC for info. wow.. i like park hae jin and Jo Yoon Hee!! Wondering who female lead is..... Jo Yoon Hee or Chae Jung Ahn?? - Rumored that she is then female lead 1 but nothing is fixed yet..based on today's news. everything seems to be happening so quickly. they barely announced the cast and filming started already. and it's airing in less than a month? WOW. HaeJin is going to be so tired from both the filming for this drama and Family Outing. Gah, both Jo Yoon Hee and Chae Jung Ahn are pretty girls. So i wonder who would be the girl has the happy ending with Haryu. 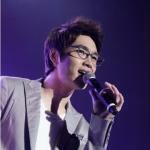 And Choi Chul Ho, though i'm a big fan of Hae Jin, i got to say that he was really handsome and cool in Partner. Can't wait to see them at this drama. And the drama, the image of Haryu makes me feel that it will be a light and funny drama. It's also based on a manhwa that have many funny scenes. Tired of the stresses come from the real life, i really hope to watch this comedy. It'll bring me the relax moments. OMG hottie PJH is in here, must watch. Love the cast, got my eyes on you!! lol at first I thought this was a vampire serie or something HOT BLOOD! So this will be airing after Cheon Chu? This means I'll get to see this on KBS World then! YAY! That aside, doesn't anybody think Jo Yun Hee looks like Hyori? Of course not as pretty...but it some angles, I find them really alike..
^ Yes, after Empress Chunchu. According to KBSworld website, it will start airing in KBS2 next month.. then on November, it will air in KBSworld. [마이데일리 = 한상숙 인턴기자] 수많은 인파가 모여있는 동대문 고서점 거리. 박해진이 책을 찾아 이리저리 뛰어다닌다. 사람들의 웅성거림에도 아랑곳하지 않고 독서에 매진하고 있는 박해진. 다른 곳에서는 채정안이 러닝 머신에서 땀을 흘리면서 달리고 있다. 뛰는 와중에도 미모는 흐트러지지 않는다. 한창 촬영중인 KBS2 주말특별기획드라마 '열혈 장사꾼'(연출 지병현, 극본 홍승현, 유병우)의 촬영 현장이다. '국민 연하남' 박해진과 청순한 이미지의 채정안은 '열혈 장사꾼'을 통해 각각 열정적이고 남자다운 '국민 열혈남'과, 카리스마 넘치는 여주인공으로 이미지 변신을 꾀하고 있다. 제작사 '화앤담 픽쳐스'의 관계자는 "어려운 시기에 하류(박해진)의 성공과정을 통해 시청자들에게 희망과 열정을 선사하고 싶다"며 포부를 밝혔다. 또한 '바람의 나라' 등에서 감각있는 연출력을 인정받은 지병현 감독은 "힘든 시기를 잘 버텨내고 있는 국민들에게 보내는 '응원가' 같은 작품을 만들겠다"며 많은 기대를 당부했다. 박해진과 채정안의 이미지 변신이 기대되는 '열혈 장사꾼'은 오는 10월 10일 첫 방송된다. The character of Cha Jung Ahn will have the happy ending with Haryu? DId i wrong?